We currently have the following Special Offers available for the Menlo Park Hotel in Galway. Come West this Winter and experience the amazing annual Galway Christmas Markets from the 23rd November to 22nd December. Get into that festive feeling and come stay with us at the Menlo Park Hotel for a two night midweek break. Make the most of your night away this New Years Eve, Enjoy One Night away in our Luxurious Superior room which come with warm fluffy bathrobes, slippers, Prosecco and strawberries. Enjoy a Light Two Course Meal in Bia Beo restaurant on New Years Eve. If you prefer to stay in the comforts and warmth of the hotel to bring in the New Year join in on the craic in Bar Beoga which will have live music. 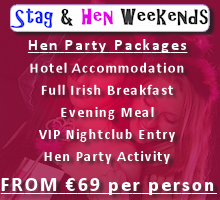 The next morning we will bring you Breakfast in Bed, ALL for just €125 per person sharing. One night Bed & Breakfast with a Bar Food Voucher to the value of €20 in Bar Beoga for €79.00. This offer is for single corporates. Free Car Parking and wi fi all around the hotel, complimentary daily newspapers. An excellent location for you to commute to drive from the city centre and from all the major roads and just a five minute. This Winter why not take a mini holiday and Enjoy a three night escape. You pay for two nights bed and breakfast and one evening meal and we will give you the THIRD NIGHT BED & BREAKFAST FREE!! 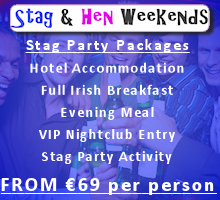 All for just €109 per person sharing. Free car parking, complimentary WIFI and daily newspapers. Upgrades available to our luxury Superior rooms featuring king bed, bathrobes & slippers in beautifully appointed rooms. Kids under 4 Stay and eat for free, kids age 5-12 supplement of €5 for breakfast and €9 for dinner. Enjoy a Short Two Night Break this winter break for just €95 per person sharing. Enjoy Two nights bed and breakfast and one evening meal in our Bia Beo restaurant. Free car parking, complimentary WIFI and daily newspapers. Upgrades available to our luxury Superior rooms featuring king bed, bathrobes & slippers in beautifully appointed rooms. Come West this Winter and experience the amazing annual Galway Christmas Markets from the 23rd November to 22nd December. Get into that festive feeling and come stay with us at the Menlo Park Hotel for a two night midweek break. Included in this package is; Two Homemade Scones with Jam & Cream and Tea/Coffee on Arrival, a choice of an Irish Coffee or a Signature Cocktail for each of you at your leisure, a Carvery Main Course Lunch for each of you on a day of your choice AND two Nights Bed & Breakfast..... ALL FOR JUST €89 PER PERSON SHARING!! Enjoy two nights away this Winter at the Menlo Park Hotel, Galway city for just €99 IN TOTAL for 2 people room only. Why not upgrade to one of our luxury Superior rooms which come with warm fluffy bathrobes, slippers, fruit bowl and water for an extra €20, just make a note in the requiremnts. Enjoy one night away this Winter at the Menlo Park Hotel, Galway city for just €59 IN TOTAL for 2 people room only. Why not upgrade to one of our luxury Superior rooms which come with warm fluffy bathrobes, slippers, fruit bowl and water for an extra €20, just make a note in the requiremnts. Why not treat you and your loved one to a Romantic Night away in our Luxurious Bridal Suite at the Menlo Park Hotel. For an all in price of only €170..Enjoy One Nights’ Accommodation with a scrumptious four course Evening meal with a complimentary bottle of Prosecco Sparkling wine and the next morning enjoy a delicious breakfast in bed. Free car parking & Wi Fi throughout. Late check-out also available FOC from Monday to Friday on request until 2pm. Enjoy One Night Bed and Breakfast and a delicious Four Course Evening meal in our Bia Beo restaurant for just €63 per person sharing. Upgrades are available for €20 per night total to our luxury Superior rooms with king beds, robes, slippers & fruit bowl. Experience Galway this New Years. Enjoy Three Nights Bed & Full Irish Breakfast with a 4 course meal on an Evening of your choice in Bia Beo restaurant & a bottle of Prosecco to help you bring in 2013 for just €198 per person sharing. Live Music in Bar Beoga on the 28th, 29th & 31st December.Upgrades available to our luxury Superior rooms which comes with bathrobes, slippers, fruit bowl and water for just €20 per person. Experience Galway this New Years. Enjoy Two Nights Bed & Full Irish Breakfast with a 4 course meal on an Evening of your choice in Bia Beo restaurant & a bottle of Prosecco to help you bring in 2013 for just €159 per person sharing. Upgrades available to our luxury Superior rooms which comes with bathrobes, slippers, fruit bowl and water for just €20 per person. Enjoy a 2 night break in the 4 Star Menlo Park Hotel this weekend. Rate includes Free Parking, Free Wifi Full Irish Breakfast and a Gourmet 3 course dinner on the night of your choice. Live Music in Bar Beoga every Friday & Saturday night. Fantasic Saturday saving, enjoy one night bed and breakfast and an evening meal for two people from only €70 per person. Afterwards relax and unwind with live music and a late drink in the Bar Beoga. Free car parking and complimentary WI-FI and daily newspapers. To make your night away even more special upgrade to our luxury Superior rooms with king beds, robes, slippers & fruit bowl. Just be over 50 or even 47 to qualify and Enjoy 3 nights bed & breakfast & One delicious evening meal in our BIA BEO Restaurant plus a tour to either Cliffs of Moher & the Burren or to Connemara with the Galway tour company for just €159 per person -Visit abbeys, villages, parks, and lakes. Enjoy all that Galway City has to offer. Free car parking and wifi. This is a midweek offer. Upgrades available to our luxury Superior rooms featuring king bed, bathrobes & slippers for €20 total suppl.per night. Enjoy a Two Nights Break away with a Full Irish Breakfast each morning & One A la Carte Dinner on an evening of your choice with a complimentary bottle of wine and one Pampering treatment of your choice, choose from one of the following: Indian Head Massge, Swedish Body Massage or Reflexology. 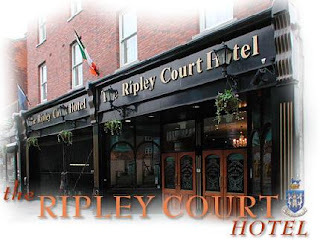 The Ripley Court Hotel, just 5 minutes from Temple Bar, near O'Connell Street, this central Dublin hotel offers spacious, classically furnished rooms with flat-screen TVs and power showers. Free Wi-Fi is available in the refurbished lobby area. Traditional, full Irish breakfasts, continental breakfasts and carvery lunches are served daily in The Ripley Court's restaurant. Homemade soups, coffee and pastries are also available in the Ripley Court Deli Bar and The Ulysses Bar offers hearty bar food. The 747 Airlink airport shuttle which services Busaras bus station stops right outside the hotel on route from the Airport. Return shuttles to the airport depart from Busaras bus station which is just a minute walk away from the hotel. The O2 Arena can be reached by LUAS (light rail system) and there is a DART station opposite the hotel. Trinity College and Croke Park are within a 10-minute walk. Rooms at Ripley Court hotel all include en suite bathrooms with baths and power showers. Rooms also feature a refreshment tray with tea and coffee-making facilities, cable TV and an in-room safe. A 24-hour reception and luggage facilities are available to facilitate early arrivals and departures. Internet Free! Wireless Internet Hotspot is available in public areas and is free of charge. Parking Private parking is possible on site (reservation is not possible) and costs EUR 10 per day. Cancellation / PrepaymentCancellation and prepayment policies vary according to room type. Please enter the dates of your stay and check the conditions of your required room. Children and extra beds Free! All children under 6 years stay free of charge when using existing beds. Accommodation in Ireland is at its very best in Belfast; a Holiday in Ireland would not be complete without a visit to historic Belfast. Travel Ireland and enjoy top Hotels in Ireland, Hotels in Ireland and Accommodation in Ireland offer you breaks in Ireland at unbelievable value. Guesthouses in Ireland and Guest Houses in Northern Ireland offer excellent Guest House luxury and value. Bed and Breakfasts in Belfast and Northern Ireland generally offer quality service, Bed and Breakfasts are maintained to the highest standards, bed and breakfast accommodation and B&Bs in Ireland are great value. Self-Catering Accommodation in Belfast and Northern Ireland can be an alternative to traditional Hotels and Guest Houses, Self-Catering Accommodation offers self-catering holiday cottages, apartments and a range of other alternatives. Belfast is Buzzing right now. Over the past ten years Northern Ireland has become a haven for international globetrotters of life. One of the most cosmopolitan cities in Europe and Frommer’s Travel Guide listed Belfast as one of the Top 12 Destinations to Visit in 2009. Belfast is a short commute from some of Ireland’s greatest sea and landscapes, the world renowned Giant’s Causeway is but a short step from Belfast. The Titanic quarter is a must to see, what a unique history. For shopping, Belfast is the place to be, competitive prices and high street names to match any capital city in Europe. Eating out, having fun or just taking it real easy, Belfast has it all. Enjoy Northern Ireland’s culture and history by visiting Queens University, Belfast City Hall, the Northern Ireland Assembly or the historic Linenhall Library. For social living, Belfast has it all, restaurants, traditional pubs, nite clubs and venues such as the Odyssey Arena and Waterfront Hall where world class entertainment comes alive. Whether you like traditional Irish music, live theatre or you just like to learn about the rich history of fine European cities, you will love all that there is to do in this beautiful Northern Irish city. This Jury’s Inn is located next to Belfast’s City Hall and Opera House. It boasts spacious rooms with flat-screen TVs, a 24-hour reception and a restaurant serving modern cuisine. On Great Victoria Street, beside the Grand Opera House, the luxury Fitzwilliam Hotel Belfast offers boutique bedrooms with free Wi-Fi. There is a chic restaurant and modern cocktail bar. Next to The Waterfront Hall convention centre, Hilton Belfast has a fitness room and a modern bar and restaurant. Overlooking the River Lagan, Belfast’s vibrant city centre is under a mile away. With views over the Black Mountains, these luxurious apartments offer free secure parking and free Wi-Fi. The city centre, along with bus and rail stations, is close by. In Belfast’s vibrant Gasworks district, the 4-star Radisson Blu Hotel Belfast features a stylish restaurant and cocktail bar. The spacious rooms offer free internet and air conditioning. In the very centre of Belfast, this Ibis hotel offers modern rooms with satellite TV, 5 minutes’ walk away from Belfast’s nightlife and bars. The stylish, friendly and popular Park Avenue Hotel in the Belmont area of Belfast is 10 minutes from the city centre and close to Belfast City Airport. Ibis Belfast Queens Quarter hotel provides contemporary, good value rooms, near Belfast City Centre and Queens University. There is excellent access to local rail and bus links. In the picturesque Lagan Valley Park, this 4-star hotel has a pool, a gym and free parking. Belfast city centre is a 10-minute drive away. Located in Belfast’s city centre, this Premier Inn offers modern accommodation less than 5 minutes’ walk from Ulster Hall, a concert venue. In the heart of Belfast’s city centre, this 4-star hotel is next to Great Victoria Street Railway Station. Guests can enjoy luxurious rooms and dining in the contemporary bistro. In the city centre, Days Hotel Belfast has private parking and a restaurant. The city's bus and rail stations can be reached within 10 minutes' walk. There are 2 people looking at this hotel. The award-winning Malone Lodge Hotel and Apartments is a boutique Victorian townhouse hotel. In the centre of Belfast’s lively Queen's Quarter, this modern hotel offers stylish rooms with flat-screen TVs and free on-site parking. The restaurants of Botanic Avenue are close by. In Belfast city centre, Holiday Inn Belfast has a stylish restaurant, a modern fitness centre and a beauty salon. The 4-star hotel is a 10-minute drive from Belfast City Airport. In the heart of Belfast city centre, Park Inn by Radisson Belfast is close to the Golden Mile and the bars, restaurants, cafés and shops. Castle Court Shopping Centre is a 10-minute walk away. Wellington Park Hotel is 5 minutes’ walk from both Queens University and the Ulster Museum. The hotel features a traditional restaurant, cosy bar and free Wi-Fi. The Ramada Encore Belfast is located in Belfast’s Cathedral Quarter and within 15 minutes' walk of The Odyssey Arena, Titanic Quarter and local bars and shops. The Malone Lodge Apartments are located in Belfast’s University Quarter, a 5-minute walk from the Botanic Gardens. In the heart of Belfast, this luxurious 4-star hotel offers free parking, free internet access, great food and stylish, contemporary, air-conditioned rooms with 37-inch (94 cm) LCD TVs and iPod. Situated in Belfast City Centre, Travelodge Belfast is a 10-minute drive from George Best Belfast City Airport. With spacious rooms and a traditional restaurant, the hotel has a 24-hour front desk. There are 2 people looking at this hotel. Balmoral Hotel, Belfast is situated 5 minutes’ drive from the city centre and situated at the junction of the M1 motorway. Free private parking is possible on site. There is 1 person looking at this hotel. This refurbished 19th-century Victorian building is located in central Belfast. It offers comfortable bed and breakfast accommodation 4 miles from George Best Belfast City Airport. Lansdowne Hotel is 3 miles (4.8 km) from Belfast city centre. It is at the foot of Cave Hill on the Antrim Road, with spectacular views over Belfast Lough. All Seasons is a Victorian property offering bed and breakfast accommodation, a 10-minute drive from Belfast city centre. Parking and Wi-Fi are free and the reception is open 24/7. This fine period property offers modern facilities in the leafy Queens' University Quarter. It is ideally located for the university, the Ulster Museum and Botanic Gardens. A 15-minute walk from Belfast city centre and less than 5 miles from George Best City Airport, Springfield offers bed and breakfast accommodation with free Wi-Fi. Set in an elegant 19th-century building, the Bienvenue Guesthouse is 10 minutes’ walk from Belfast’s Botanic Gardens and Windsor Park. It offers rooms with free Wi-Fi and free off-street parking. Located in the bohemian Queen’s Quarter of Belfast, a mere 10-minute walk from the city centre, Tara Lodge offers 28 contemporary style bedrooms with warm and genuine hospitality. In a quiet area of North Belfast, Orchid House Apartments offer stylish, serviced accommodation with free Wi-Fi. The apartments are just a 5-minute drive from the Fortwilliam Golf Club. Overlooking the gardens of Stormont Castle, in the leafy suburbs of Belfast, this luxurious 4-star hotel has a fitness centre and a bistro restaurant. There is free parking and a 24-hour front desk. Set in a suburban Victorian townhouse just 15 minutes’ walk from Belfast’s Lyric Theatre, the 4-star Avenue House has rooms with a 32-inch LCD TV and DVD player. This 18th-century Victorian guest house offers bed and breakfast accommodation in the leafy suburbs of Belfast. It is 25 minutes’ walk from the city centre, and offers free Wi-Fi. Just 10 minutes from Belfast’s vibrant city centre, The Beechlawn House Hotel offers large, colourful bedrooms with 24-hour room service. This top-class bed and breakfast in Belfast has been recommended for a long time by famous travel guides. Madison’s is a boutique-style hotel with an award-winning restaurant, cafe bar and nightclub. It is 300 metres from Belfast city centre and a short walk from The Waterfront Hall. Situated in Windsor Park, these 5-star self-catering apartments have free Wi-Fi, on a peaceful tree-lined avenue in the university area of Belfast. Rail and bus links are within walking distance. Windermere Guest House is a 19th-century Victorian bed and breakfast situated a 10-minute walk from Belfast town centre. It has free parking and free Wi-Fi. Famous for its chef’s fantastic Ulster Breakfast, Maranatha sits on the busy Ravenhill Road, two miles from the city centre and a short drive from the George Best City airport. Located in the Titanic Quarter of Belfast, this Premier Inn is located across from the Odyssey Arena and Pavilion. George Best City Airport and Belfast city centre are within 1.5 miles. In the heart of the city, this beautifully converted Victorian warehouse is now a stylish and luxurious 4-star hotel, mixing period features with modern boutique style. Greenmount Bed and Breakfast is situated alongside the M1, just 10 minutes' drive from central Belfast. It has free on-site private parking and free Wi-Fi throughout the building. Premier Inn Belfast City Centre (Cathedral Quarter) is situated in the heart of the city centre. The boutique-style Benedicts is on Belfast's vibrant Golden Mile and has a very popular music bar, a restaurant and excellent, stylish rooms. Somerton House is 2 miles from Belfast Ferry Port and 3 miles from the city centre. It offers home-cooked breakfasts, free parking and rooms with flat-screen TVs and DVD players. The 5-star Merchant Hotel is in the Cathedral Quarter of Belfast's city centre. It offers luxurious air-conditioned rooms, free Wi-Fi, a spa, and a rooftop gymnasium and hot tub. This Victorian house offers bed and breakfast accommodation, 2 miles from Belfast city centre. It combines modern and traditional features, and has rooms decorated with art from around the world. In the heart of the city centre, the Belfast City Apartment are just 1 minutes' walk from the bars and restaurants on Belfast's Golden Mile. Ten Square is situated in Belfast city centre and features its own steakhouse restaurant and bar, which offers free evening entertainment. In the heart of Belfast city centre, Belfast Self Catering Apartment is a 5-star apartment situated just 100 metres from the bars and restaurants of Belfast's Golden Mile. Offering sleek décor, free Wi-Fi and free parking, the 3-star Belfast City Centre Apartment is also just steps from the vibrant Golden Mile. Just 2 miles (3 km) from Belfast city centre, Ravenhill Guest House offers free parking, award-winning breakfasts and homely rooms with free Wi-Fi. Belfast Central Rail Station is 1.5 miles away. Located in Belfast city centre, these stylish apartments are just 1 minutes’ walk from Dublin Road’s pubs, bars and restaurants. Situated in Belfast city centre, this apartment is just a 2-minute walk from Dublin Road’s bars, clubs and restaurants. Free parking is possible and a computer is provided. This modern, village-style residence is 800 metres from the university campus and a 15-minute walk from Belfast city centre. It has 24-hour reception and security, free internet and communal kitchens.